I have been the professional writing voice behind CEO’s and business managers – federal, private, non-profit – people of authority and experience – for more than 25 years. I will continue to do that … so reach out to me when you need a writer who listens well and can speak through written words and imagery in your voice. But I am also turning my attention to those of you who want to learn the craft of writing and build your own writing career. One of my creative commitments is to help you aspiring writers get started. Did you know that 80% of people believe they have a novel or book of some kind inside of them and wish they could write it ? … But most won’t do it. Because most don’t how to begin. Are you among that 80%? Find help here. 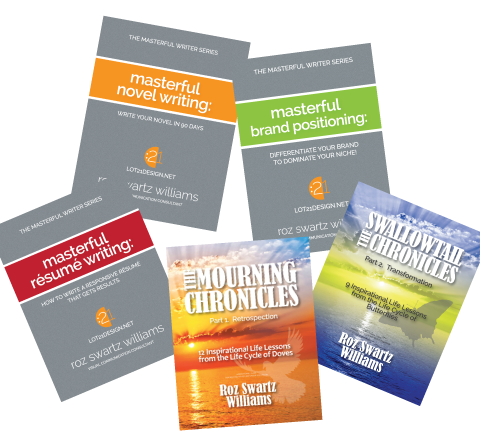 The Masterful Writer Series covers professional writing topics – things you need to know to work toward mastering the craft of writing. The Purpose Chronicles Series is about finding your calling – discovering your purpose and voice in this world and allowing your destiny to unfold. 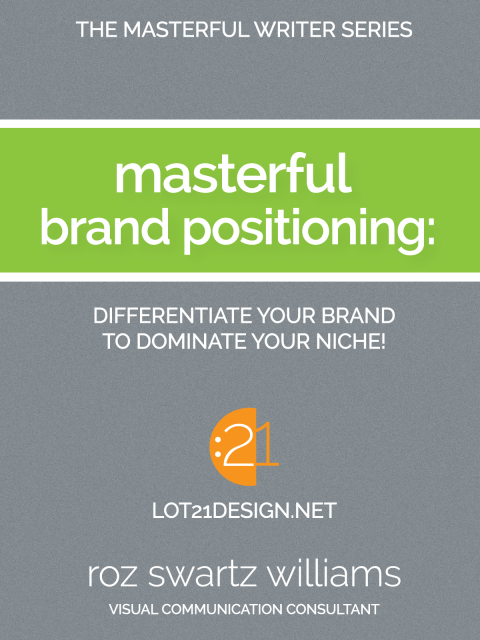 Announcing the latest release in The Masterful Writer Series: Masterful Brand Positioning – Offering 21 visual communication strategies to Differentiate Your Brand and Dominate Your Niche!